Our primary goal is to develop more effective chemotherapeutic agents for cancer patients. Multidrug resistance (MDR) represents a major obstacle to the treatment of cancer, and understanding the resistance mechanisms and knowing how to reverse the resistance hold the promise of providing insights that may lead to improvements in the use of currently available anticancer drugs. Our laboratory is interested in the molecular and cellular pharmacology of anticancer drugs, such as drug resistance mechanisms and reversal of resistance study and new drug development. A promise of our research program is that progress in the chemotherapy of cancer will depend on rational combination of agents that reduce the function of plasma membrane transporters such as P-gp, ABCG2 and MRPs, and to enhance the actions of cytotoxic drugs. In collaboration with many researchers in USA, China, Japan, Canada, Australia and Egypt, studies in our laboratory focus on screening and identifying new inhibitors of ABC transporters by in vitro membrane vesicles transport assay system and cell based assay systems. Another research direction is to study the role of ABC transporters family on the detoxification of chemicals (including carcinogens and mutagens) using knock out mouse models. In addition, I have a strong scientific writing and communication skills (grants and publications) as well as am active in public service with global and local impact. Dr. Zhe-Sheng (Jason) Chen, M.D., PhD, is currently a Professor at College of Pharmacy and Health Sciences, St. John’s University. He joined St. John’s University in 2004 as an assistant professor. He established several research projects to study ABC transporters and multidrug resistance (MDR) as well as reversal of MDR in both in vitro and in vivo tumor models. During past years, his laboratory has been well funded by NIH and companies. He carried out his postdoctoral training at Fox Chase Cancer Center (Philadelphia, USA, 2000-2004) and Kagoshima University Faculty of Medicine (Japan, 1998-2000). He received his Ph.D. degree from Kagoshima University Faculty of Medicine (Japan, 1994-1998), Master degree from Sun Yat-Sen University School of Public Health (China, 1985-1988) and M.D. from Guangdong Medical and Pharmaceutical College (China, 1980-1985). 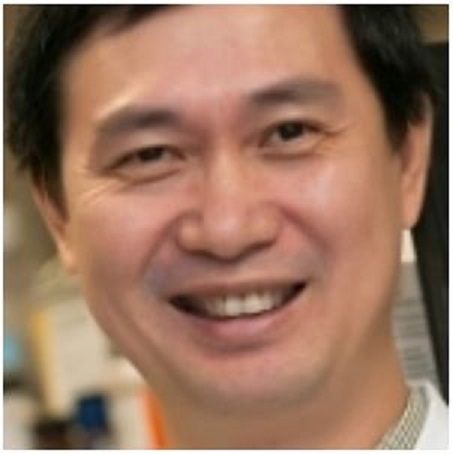 Dr. Chen is an editor-in-chief of Journal of Cancer Research Updates, and New Developments on Chemistry, an editor of African Journal of Pharmacy and Pharmacology, Regional Editor of Recent Patents on Anticancer Drugs Discovery, a guest editor of Current Pharmaceutical Biotechnology, an editorial board member of more than 20 journals and a reviewer of more than 170 peer reviewed journals. He is also an Ad hoc reviewer of some grants such as NIH, NCI Special Emphasis Review Panel, OmniBus SEP-10, State Grant Reviewer for Louisiana, and grants for New Zealand, Poland, China, Hungary, and Netherlands etc. Dr. Chen commands invitations for presentations, keynote addresses, and conference chairman. He published more than 150 publications in peer reviewed journals and 5 book chapters.